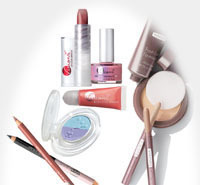 Oriflame Cosmetics UK - Seize the Oriflame opportunity join today! 45 Years and Not a Wrinkle! Oriflame began with a dream to provide an opportunity for people to change their life for the better – to fulfill their dreams. Oriflame was started by two brothers Robert and Jonas Af Jochnick and their friend Bengt Hellsten. They decided to start their own business and to follow their dream.Oriflame grew to be the largest European direct-selling beauty company with more than 3 million consultants worldwide and annual turnover of approximately 1.5 billion euro. NEXT Why Choose an Oriflame Career?